Environmental Test Chamber is designed for testing the capability of heat-endurance, cold-endurance, dryness-endurance, and humidity-endurance, suitable for quality control of the industries of electron, electrical equipment, vehicle, metal, foodstuffs, chemistry, building materials, luggage, adhesion tape, printing, packaging, etc. 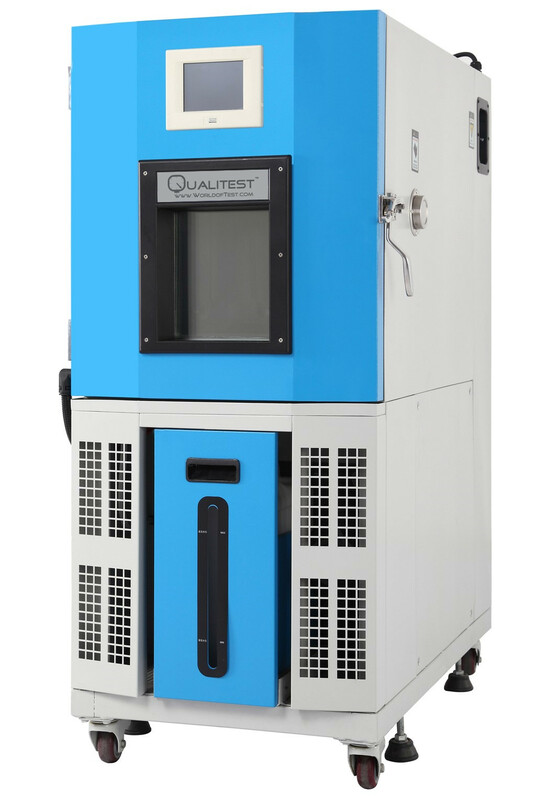 The environmental test chamber for conditioning of samples prior to testing, It also can be used for a variety of materials of high – low temperature alternating test. The test for temperature, humidity, time can be programmed. Provides conditions of temperature from -70℃ to +150℃ (Maximum) and of humidity form 20% to 95%. The ideal simulation environmental test chamber for all heat and cold testing between -70ºC and 150ºC (Max.) temperature range. Well suited for reliability testing based on current test standard in the temperature range of -70°C to 150°C and 20% to 95% RH. Temperature adaptability test under the condition of rapid change, or gradient for electrical, electronic, instruments and other products or spare parts, particularly applies to environmental stress screening test. Delicate touch screen sight and excellent user experience. Unique and compact design, top grade appearance, stable performance and easy operation. Environmental test chamber can simulate a wide range of temperature and humidity environments. Capable of testing large components, assemblies, and finished products. Customized sizes and configurations available, Environmental test chamber.